The classic and original Mexican tequila cocktail made with grapefruit juice, mineral water tequila and sugar. Dissolve 2 tablespoons of pure cane sugar in 1/4 cup of water to make a simple syrup. Set aside. Juice the grapefruit into a large measuring cup. If you'd like to garnish the glasses or float a small wedge, be sure to cut one quarter-inch thick slice from one grapefruit before you do all the juicing. Over a pitcher, strain the grapefruit juice to remove any pulp or seeds. Add the simple syrup mixture, 1/4 cup tequila blanco and the chilled agua mineral to the pitcher. Stir well. 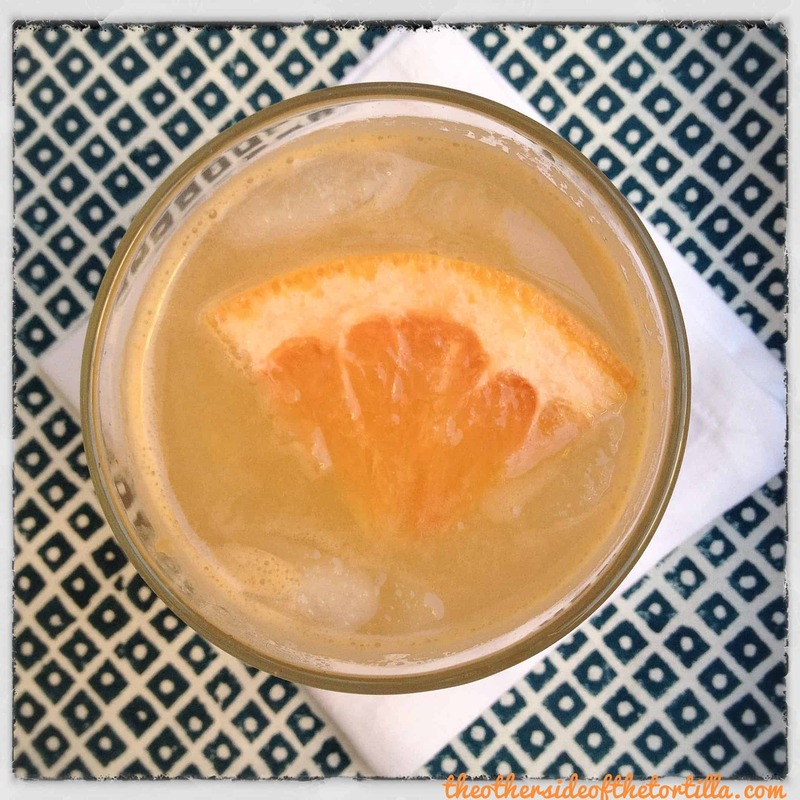 Garnish with grapefruit wedges or twists and serve over ice. Zulka Azúcar Morena Pure Cane Sugar is a Mexican brand of granulated cane sugar sold at many Latin grocers and can also be purchased online. 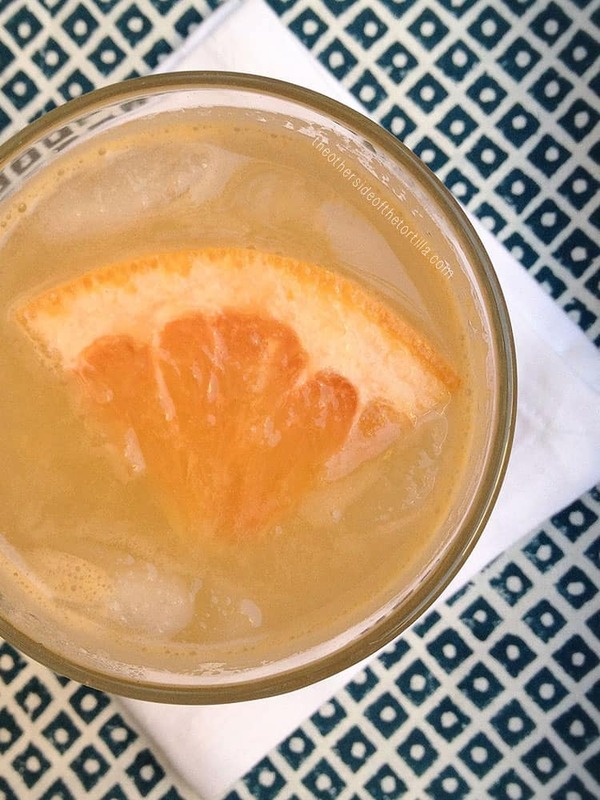 Do you make your palomas differently or do you have any favorite places where you’ve had them before? Share with me below in the comments! I prepared Palomas for one of our catering events and I had never tasted one before, I got a quick lesson just before the event started. They were super popular so I had one when we finished our job, and then another and then… I used Fresca which I am beginning to love even more than Squirt. One comment about your recipe- you forgot the salt! To make a Paloma I rim a glass with salt(optional), then fill the glass with ice, a pinch of salt (not optional) and juicy squeeze of lime (half a key lime) then pour in your tequila and soda, give it a quick stir and down she goes! The only problem with Palomas is that they are so refreshing and they go down so easily. It is one of those dangerous drinks that catches up to you quicker than you realize. Hi Jessi, thanks for your comment! I know some people like to add salt, but I prefer it without. I’m also the kind of cocktail drinker who rarely salts the glass for a margarita (unless we’re talking about a margarita made with fruit and rimmed with tajín). 🙂 I feel like I get so much salt elsewhere that I can do without, so that’s why I didn’t include it in my recipe, and some brands of club soda have salt in them as well so I sometimes buy specific brands to avoid it. Unfortunately, I can’t drink Fresca in place of Squirt (I’m allergic to diet soda), but I know so many people who love to make their palomas with Fresca. Another good alternative to Fresca is Zevia’s grapefruit citrus flavor—it’s sweetened with stevia instead of aspartame. And I completely agree with you that they go down easy so you’ve got to be careful about how many you’re drinking! 😉 Salud! I love grapefruit! I think I would actually have it without the Paloma. So yummy! 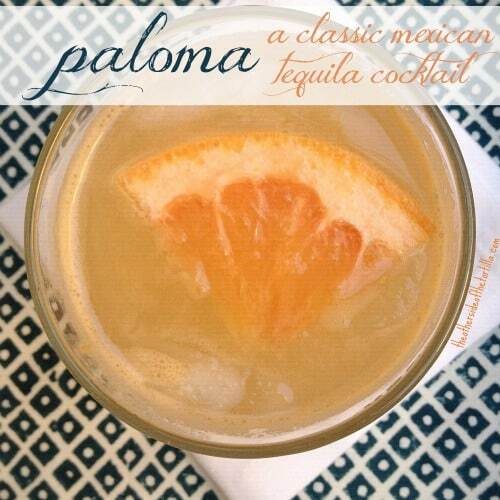 Yikes, I guess I have to admit to making palomas the lazy way in the past — Squirt con tequila — but your way sounds much yummier. I’ll have to try it! Oh, I hear ya about not wanting to cook in the summer. My AC stopped working for a couple weeks, and I had to bake some stuff in the oven and was DYING. Leslie, I agree that often the ones made with soda are a little on the sweet side. That’s why I like to make them from scratch and add the sugar to taste for my own preferences. Otherwise I find I end up diluting too much to cut down on how sweet the cocktail is when made with grapefruit flavored soda. Thanks for stopping by! Well, I just learned something even though I lived in Mexico. That margaritas are called palomas…maybe that’s b.c I drank mojitos when I was there. I often times makes “spritzers” with fruit juice and seltzer to cut down on the sugar and calories. You’ve inspired me Maura to fresh squeeze!